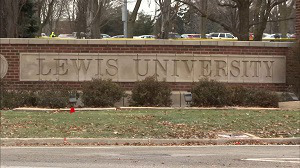 According to Lewis University officials, the institution has rescheduled its winter commencement, originally scheduled for Dec. 15-16 to May 17-19 due to a mumps outbreak. The rescheduling will not delay the customary timeline for graduates to obtain their diplomas and have access to transcripts, according to the Chicago Tribune. Courses and final exams will continue as scheduled. There has been one confirmed case of the mumps and nine probable cases that were reported at the university. On Friday, Lewis partnered with Osco Drug to offer a pop-up immunization clinic for students, faculty and staff to use in the University Dining Room. Beginning Monday, Dec. 10, all Lewis students, faculty and staff who have not provided the school with evidence of immunity will be restricted from campus until at least Dec. 28, the Chicago Tribune reported. Mumps is caused by the mumps virus and can be very contagious. Symptoms of the disease begins with a few days of fever, headache, muscle aches, tiredness, loss of appetite and later causes the salivary glands under the ears or jaw to swell on one or both sides, according to the Health Department.